Right now, at this very moment, they are on a plane to New York barreling towards their destiny. But you know? They've been manifesting this moment, this time, this opportunity, this reality, for years. It is theirs to grab and hold onto. And I am so excited, and so proud of them. 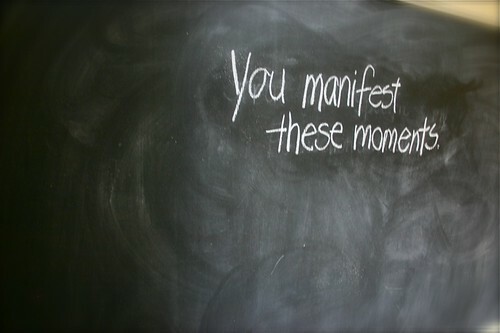 Manifesting the moments of your life: what can you see? What can you focus on? What can you hold so tightly in your mind's eye, and see come to fruition? I'm a strong believer in manifesting your destiny: what do you see in the forward to your current chapter? What comes after now? What do you see for youself? I dare you to dream it, to say it out loud, and to put it out to the universe. The universe may quite well bring it all back to you, ten-fold. Because you manifest these moments of your life. Life is magic like that. If you'd like to know more what I'm babbling about, you can follow the blog for ONE here. You can join me in celebrating art and supporting ONE here. You can read and learn more about the theater in NYC workshopping this transformational play here. It is a true pleasure to have you as our friend. Thank you for this and all you do. Made me cry... thank you! I am happy for your friends. What a cool post. You dared me in your writing a while back to start a garden in my front yard...I have yet to do it. But this dare you propose today I can do! I am putting my hopes and dreams out there to the universe - thanks for the inspiration. Yes ... my mantra lately is no one can take away today, because it is mine! I'm so excited about ONE and can't wait to see it in NYC. It's been hard for me to describe exactly why it's so inspiring to me, but you got it exactly right. Thanks so much for your insight and, as always, your perfect prose.